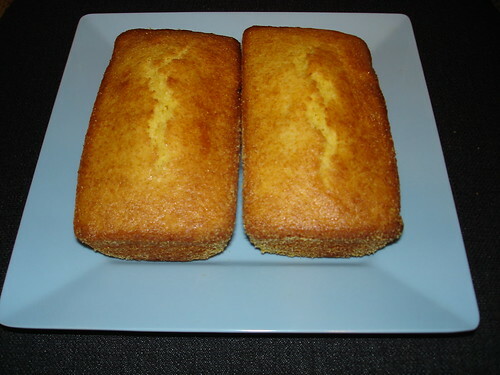 This is the result of my first attempt of a basic corn bread recipe I got out of “Baking at Home With The Culinary Institute of America.” It’s a good book for the rookie home baker as its recipes are fairly basic and easy to follow. I like using it for an almost guaranteed successful first attempt if I haven’t had a lot of experience making something. Being Canadian, corn bread isn’t exactly in my usual repetoire, but after making these, I may have to reconsider. They turned out perfectly, and I even modified them to make them lactose free. The only real issue I have with the book is that it’s written using Imperial measurements, which can be frustrating for an experienced baker. Using metric weights guarantees a standard set of results. It can mean the difference between professional quality and a sloppy mess. It’s for this reason that one of my first serious purchases back when I was an apprentice was a good quality digital scale.